what is the meaning of “kick the tires”? DevStack is the quickest way to get started with OpenStack if you want to kick the tires. I read a post here, but I don't know the meaning of kick the tires. I use our country's translation tool, the result is not satisfied. 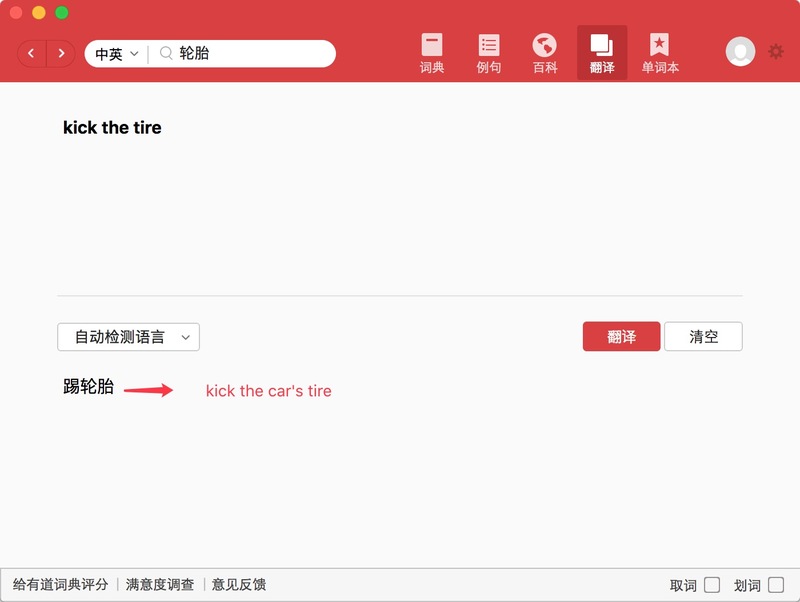 The use of kick the tyres in this sentence is an idiomatic phrase. In order for me to try and explain this fully, here are some pointers you can use when you come across idiomatic phrases like this. Of course you would need to identify that it is idiomatic in the first place, but every time you come across them, you will find it easier to spot them. Why would someone kick tyres? What has that got to do with OpenStack and DevStack? DevStack is the quickest way to get started with OpenStack if you want to check your car tyres for low pressure. But looking at the whole sentence, what could that mean? What has low tyre pressures got to do with everything? Low tyre pressures will be a problem, so kicking the tyres is looking for problems which could lead to finding punctures or problems with manufacture. DevStack is the quickest way to get started with OpenStack if you want to check for problems/errors. DevStack is the quickest way to get started with OpenStack if you want to check for/try/test things. What does “weight on results” mean? How to understand “lies in the way”? What's the meaning of `show a hack`?